The new APC Series Architectural Wall Station Control system is the perfect solution for integrating both architectural and theatrical lighting control into a single DMX based system. APC components are easy to install, wire and configure. 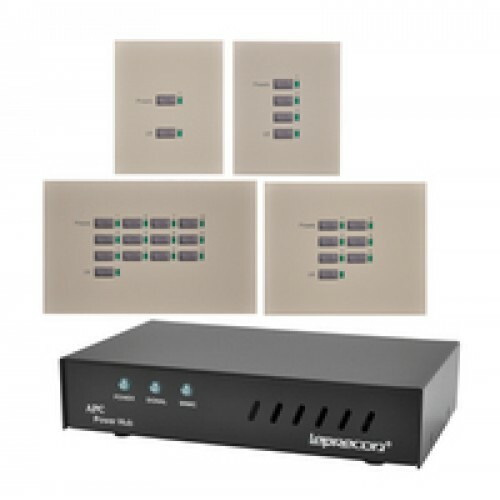 The APC System includes a series of Preset Button wall stations and optional Power Hub. Preset panels are available in one, three, six or 12 button preset looks plus Off, all with programmable fades. Standard Cat5 cable and RJ45 connectors are used to interconnect the panels in a system. The Power Hub adds optical isolation for the dimmer output, and transmits DMX data with optimized timing that works well with low cost ‘DMX Challenged’ LED fixtures. 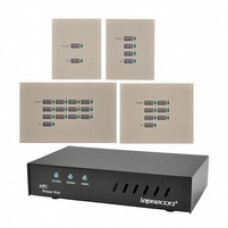 The APC Power Hub provides power for up to 10 APC panels. Standard 5 pin XLR connectors are used for DMX in and out, and a RJ45 connector is used for connecting to the Preset panels.